“Overwriting and why it’s bad to write more than you need to make the same point,” a fantastic post by sitcom writer Ken Levine. Writing Tip #2: Print it out. That’s right, print it out. Get a pen and mark up your document. 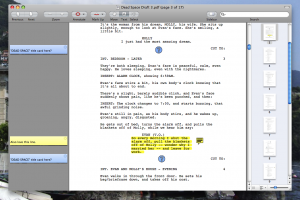 Editing onscreen is hard, and you’re likely to miss so much. When reading off of a screen, we read quite fast. We have to, because there’s so much information that we have to get through every day on the internet. If we read at a slower, more careful pace, we couldn’t possibly get through it all. So when you go to proof your document, you might try to slow down, but it’s unlikely you’ll be able to read slow enough and careful enough to catch all your mistakes. Print it out, and make your edits with a red pen. You’ll find yourself catching so many more mistakes than you would have if you’d edited solely on your computer. Eyestrain won’t make you have to skim the document, and you’ll find yourself much more able to focus on individual words, instead of full sentences and phrases. 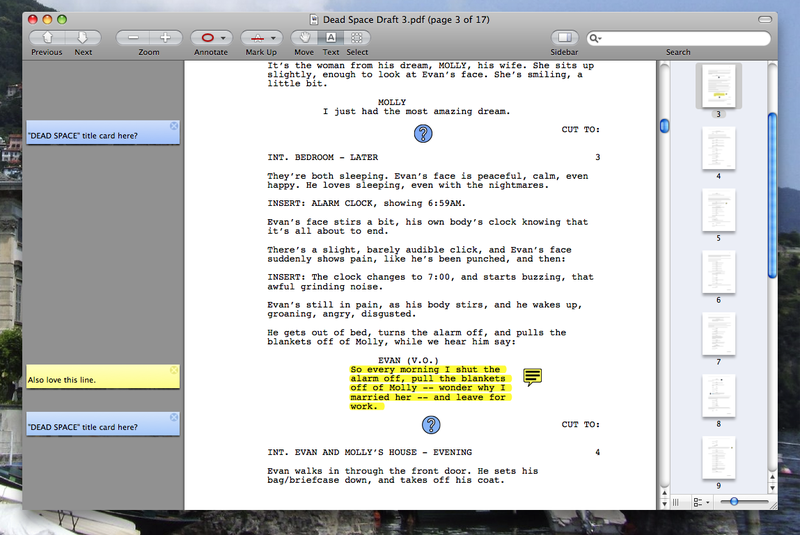 Writing Tip #1: Every draft gets a blank document. Sorry for the lack of updates over the last couple days. A few writing gigs came my way at the same time, so I’ve got a number of deadlines to meet. But I figured I could contribute here at the same time by giving a few writing tips while I’m, you know, writing. 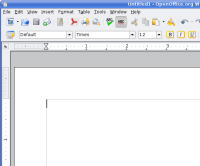 Start each draft in a blank document. Especially the first rewrite. This is more easily applied to shorter works, like a screenplay, article, or short-story. It obviously might not scale if you’re writing a novel. But if at all manageable, when you go to rewrite, don’t just make edits to your first draft. Take a fresh look at your structure, at every idea and sentence. Editing a draft will only make you catch the smaller mistakes or the odd poorly phrased idea. When you start a new draft in a blank document you’re not starting over entirely. But it’s like your first draft was the rehearsal and now, after you’ve got everything planned out, you can perform it for the first time. This also frees you creatively on your first draft. You don’t have to be overly concerned with your structure, you can just get all your ideas out without stifling yourself. You can repeat this process for as many drafts as you like, but after the second one you’ll probably be comfortable with copying and pasting more and more from the previous draft. And that’s okay if you’re satisfied with those portions. Rewriting is hard, but crucial. It’s often really difficult to part with things you love about your script/story/blog/etc even if it’s for the good of your work. So Justine Larbalestier has written a fantastic piece about how to rewrite. She gives some great, practical examples, including how even Snakes on a Plane could have been a better movie with a good rewrite. “In one scene Mr Jackson has to go down into the snake-infested part of the plane to flick a switch and save the plane from crashing. But itâ€™s all too easy and he returns unscathed. Boring!